Vom 19.01.2017 bis zum 20.01.2017 wurden 31 Knowledgebase Artikel veröffentlicht. This article provides guidance on the recommended use of ESXi Shell for VMware ESXi 5.x, and 6.x. Virtual machine deployed on Hyper-V in the Windows Server 2016 ESXi VM fails to power on. Scanning a host in vCenter Update Manager returns Compliance State:IncompatibleOn selecting the Details link , you see this error:Cannot create a ramdisk of size 333MB to store the upgrade image. Check if the host has sufficient memory. When systems logs or the ESXi host scratch partition are stored on the vSAN datastore, it can cause the ESXi host to become unresponsive to vCenter Server and the host CLI. Dashboards does not display.Clicking on any button has incorrect, or no action.vRealize Operations Manager web pages, product UI, admin UI or API docs do not load completely. vSphere Replication can experience problems with connecting to the target site and with replication if the required network ports are not open. VMware Cloud Foundation 2.1 update bundle fails to download when the current version is 1.2. Attempting to download the VMware Cloud Foundation 2.1 update bundle fails with error:DepotConnectionFailureException: Error downloading bundle [/evo/vmw/bundles/bundle-<version>.tar] from depot.vmware.com:443 A warning icon is displayed next to the my vmware link on the Lifecycle–>Repository page. This article provides information about vSAN 6.x memory consumption and a variety of example scenarios. By default, VMware Tools does not generate logs except in very rare circumstances, such as a fatal error or if unresponsive. 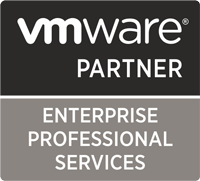 You may be required to gather information from VMware Tools when troubleshooting certain issues. This article provides steps to enable debug logging for VMware Tools within a guest operating system. Email alerts are not sent from vCenter Server. vCenter Server fails to send email alerts. In the C:ProgramDataVMwareVMware VirtualCenterLogsvpxd.log in 5.x and earlier, C:ProgramDataVMwarevCenterServerlogsvmware-vpxvpxd.log in 6.0 file, you see an error similar to:[02536 error ‚Default‘] [VpxdMail] Failed to send the mail to SMTP server mail_server at port 25. Error=The transport failed to connect to the server. After upgrading to VMware vCloud Director for Service Provider 5.6.4, the cell logs stop updating.The JMX log file grows and fills up the disk space.Restarting the cell service or the cell itself does not resolve this issue. A VLAN ID between 1 and 20 is chosen for one or more of the Management Network components during the VMware Cloud Foundation Bring-Up process.Later in the Bring-Up process, one or more of the Network related sub-tasks fails.Communication with the management switch is lost. During the VMware Cloud Foundation Bring-Up process or the VDI Workload Domain creation process, a password including special characters is specified.Later in the Bring-Up process or the VDI Workload Domain creation process, one or more sub-tasks fails to complete successfully. VMware Cloud Foundation 2.1.1 update bundle fails to download when the current version is 2.1.Attempting to download the VMware Cloud Foundation 2.1.1 update bundle fails with error:DepotConnectionFailureException: Error downloading bundle [/evo/vmw/bundles/bundle-<version>.tar] from depot.vmware.com:443A warning icon is displayed next to the my vmware link on the Lifecycle–>Repository page. Upgrading to vCenter Server Appliance 6.5 fails before the export phase. In the /opt/vmware/share/vami/vami_get_network log file, you see entries similar to:/opt/vmware/share/vami/vami_get_network: error while loading shared libraries: libvami-common.so: cannot open shared object file: No such file or directory. This article lists requirements and recommendations for hardware platforms and PCI devices in order to make them suitable for vSphere VMDirectPath I/O (PCI passthrough).